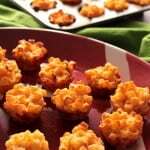 Ham, Macaroni with Cheese Appetizer Bites have all the flavors you crave in macaroni and cheese only they’re in mini bite-sized appetizer form. 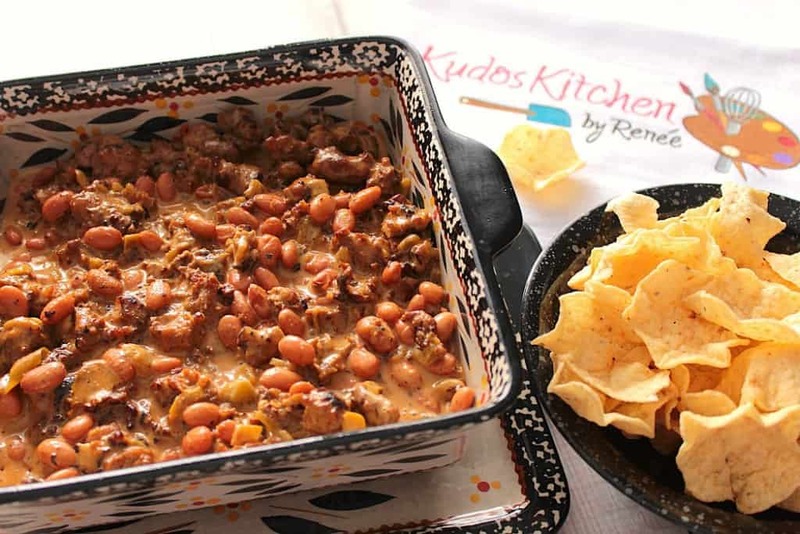 Since everybody loves finger food at a party, why not make everyone’s favorite comfort food, only in snacking form? 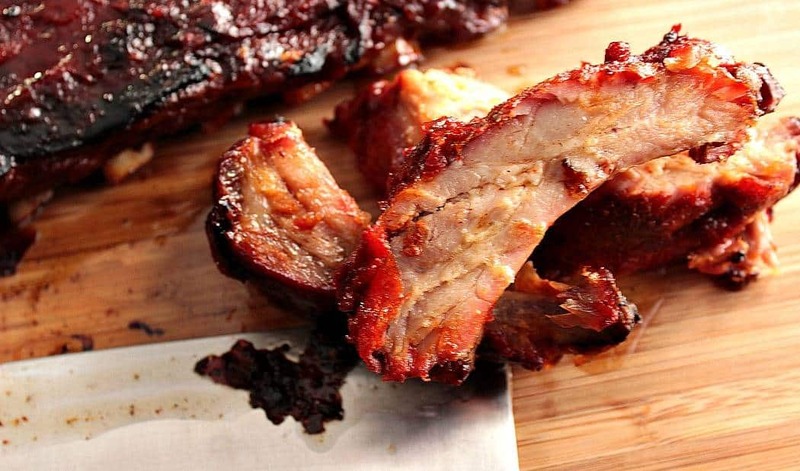 No fork needed…just fingers! If you’re thinking to yourself, “Boy, I’d like to make these but don’t like ham and I don’t have mini-muffin tins”… please don’t let that stop you! The ham is totally optional (I just happened to have some leftover in the fridge), and you can use regular size muffin tins in place of the minis. The only thing you’ll need to do is keep them in the oven a bit longer because they’re larger in size. Other than that, carry on as usual. If you’ve never made your own macaroni and cheese, it’s really quite simple. Melt butter in a saucepan and whisk in all-purpose flour. Stir in warm milk, salt, pepper, nutmeg and dry mustard. Stir and cook until the sauce thickens. Meanwhile cook and drain the mini pasta (I used ditalini) and add a bit of olive oil. Stir in the ham (if desired). Stir grated cheddar, Swiss and cream cheese into the thickened sauce until completely melted. Stir the cheese sauce into the cooked and drained pasta. 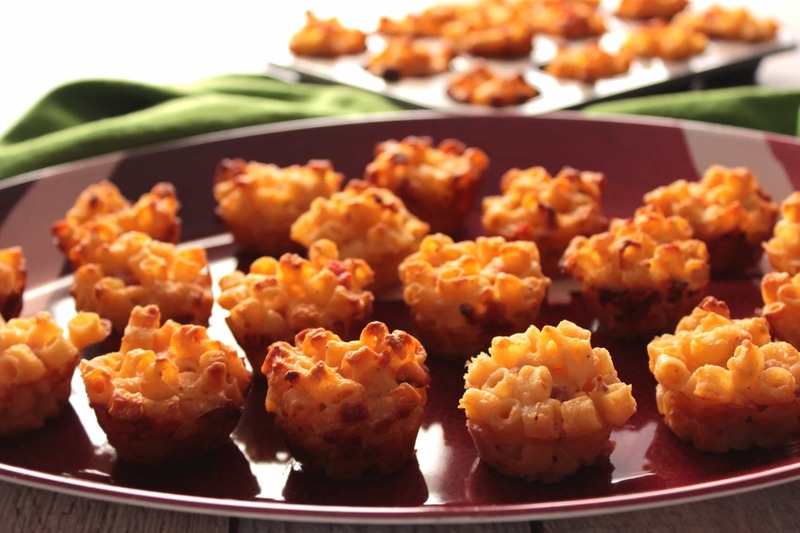 Scoop the macaroni and cheese into prepared muffin tins and bake in the oven until golden brown and crisp on the edges. Everyone's favorite comfort food is morphed into everyone's favorite appetizer. Cook the pasta according to package directions and drain. Stir in the olive oil. Keep warm and set aside. In a saucepan over medium heat, melt the butter. 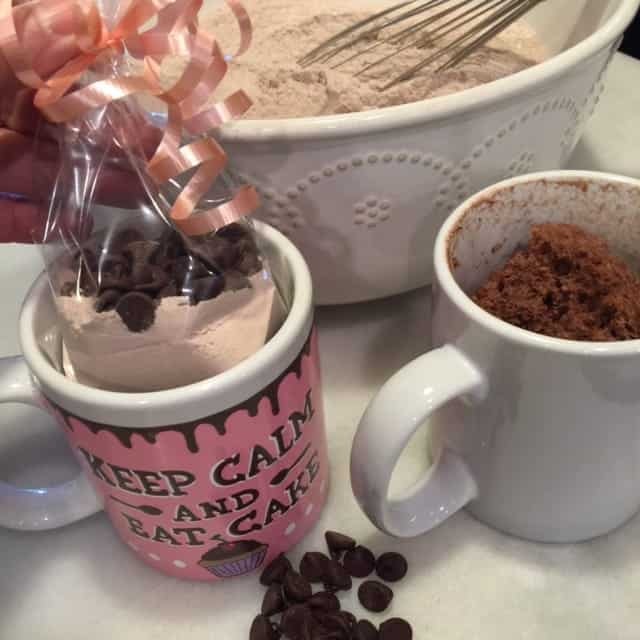 Whisk in the flour and cook approximately 1-2 minutes. Whisk in the warm milk and cook, stirring occasionally. The sauce will start to thicken as it heats. Stir in the salt, pepper, nutmeg and dry mustard. Switch to a wooden spoon and stir in the shredded cheeses and the cream cheese. Stir until smooth. Add the cooked and drained pasta to the cheese sauce and stir until well combined. Spray the inside of the muffin cups lightly with cooking spray. Fill the muffin tins with the ham and macaroni and cheese mixture. If using larger muffin tins, bake for approximately 10 minutes longer. Come and get ’em! It’s party time!! My husband is a die-hard Chicago Bears fan and has been since he was a little boy. It’s been a long time since the Bears were in the Super Bowl, and as of this year, and how they played, it seems it will be a looong time before they get there again. This tumbler and tile tray set is one I painted several years ago, as you can maybe tell by the players names and numbers. 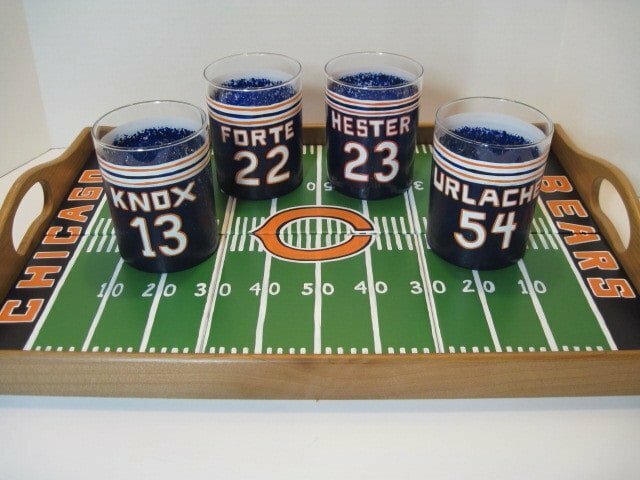 This set is still something we use for our game day snacks and drinks even though the team isn’t really relevant to the ones on the field. Oh well. 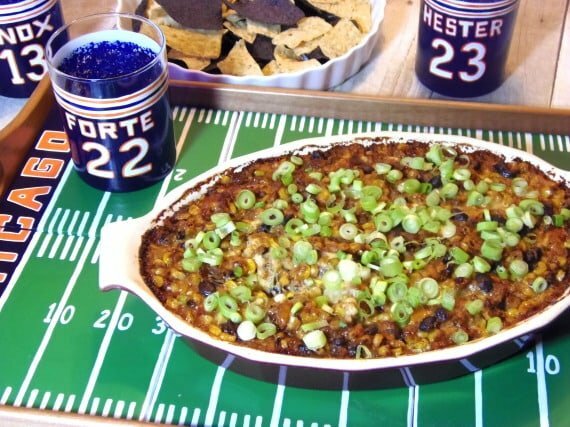 Cheers to a lot of fun, a good game, and some really good eats! If there is ever anything I can paint for you, from glassware to fabrics, please don’t hesitate to contact me by pressing the little envelope icon at the top of the page, or by visiting my shop on Etsy or Wazala. Custom orders are always welcome, and I will happily paint and design from any photo or description you send my way. Beautiful recipes, Renee. Thank you and have a great Sunday. Ok, these look like a sure fire hit! Such a fun idea! That first paragraph made me laugh. 😀 I’d be cheering for these bites, too! I can never get enough mac and cheese and ham is pretty much the only add-in I like in mine. Awesome idea! 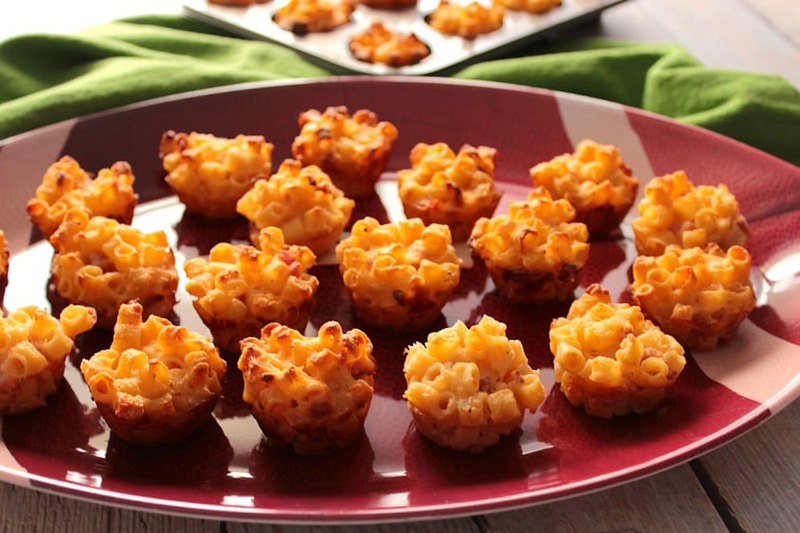 Ham and Macaroni and Cheese Appetizer Bites would be so good for game day! 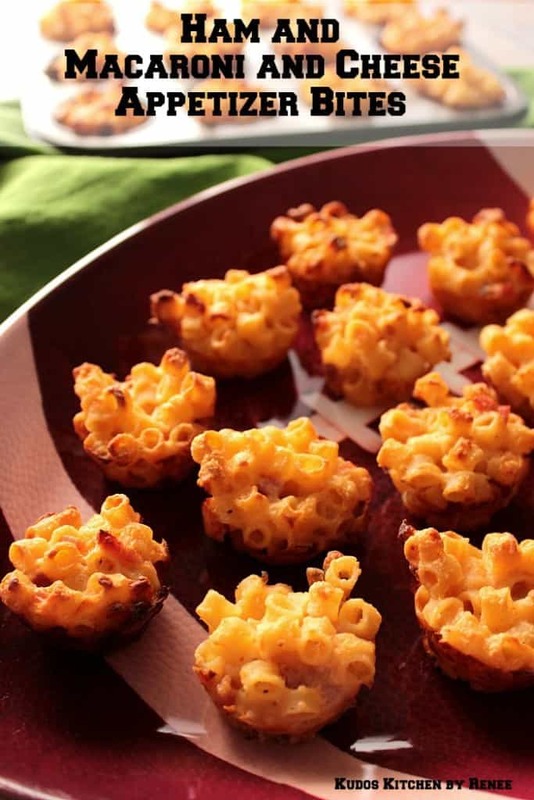 I’m always a fan of anything that has to do with Macaroni and Cheese!I really like the idea of using a mini muffin tin! 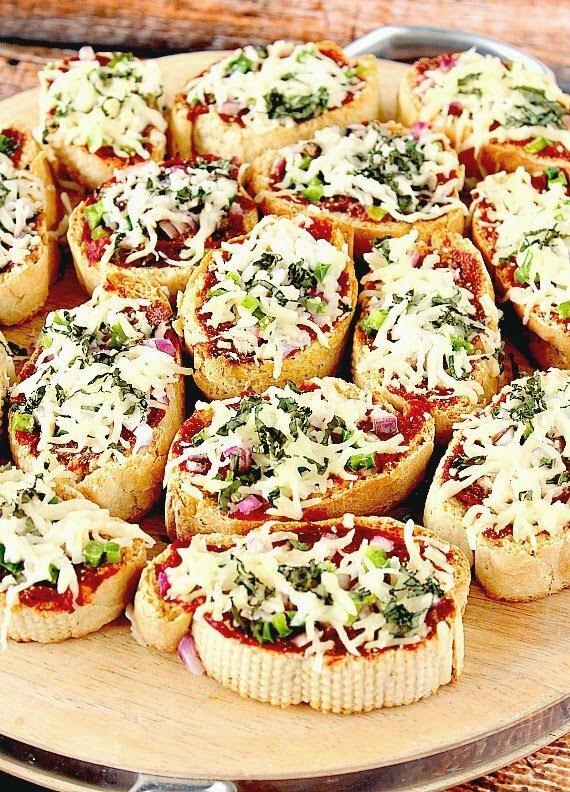 What a great idea for using left over ham and my kiddies would love these little cheesy bites! I love the addition of the ham! I have made them plain before but I bet the ham takes them to the next level! These are great football appetizers! Perfect for big kids (husbands) and little ones! I can’t wait to try them. That cheese ball is too cute too!! Ha! I’d also be cheering for these bites! I had something just like these at a party and they were the first ones gone! YUM! How cute. The kids would love these. Also, thinking Super Bowl Sunday!!!! I am obsessed! These look awesome…. 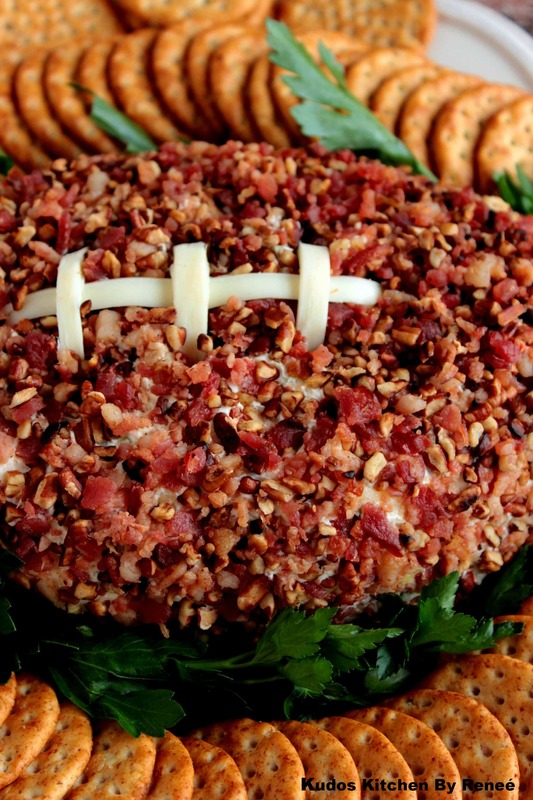 If I made these for a Super Bowl party they might all just about be gone before I even got there! What a fun appetizer idea! Everybody loves mac & cheese. When I make mac & cheese, we always fight over who gets the crispy corners. I have to admit that the battle can get pretty heated. 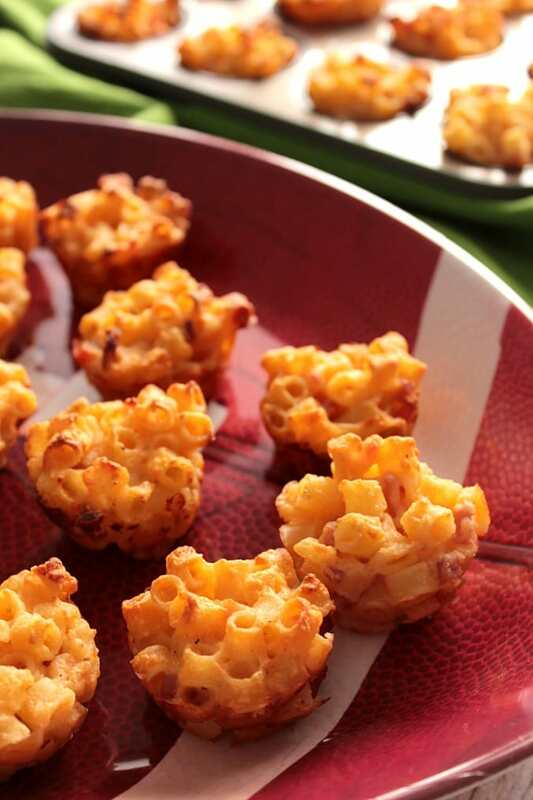 These mac & cheesy bites solve that problem so everyone wins. If I saw these appetizers at someone’s party, I would excuse myself with the whole tray, sneak out the backdoor and STUFF MY FACE!! Mac and Cheese is my weakness… I love your idea of making it bite size!! We’re not football fans (and when exactly is the Superbowl?) so, we’ll just have to find a good excuse to cook up a batch of these cuties! I had fried macaroni balls at a restaurant and loooved them. These look and sound so much better, specially because they are baked. It’s all about the crispy bits with it comes to macaroni and cheese. Thanks, Melissa! These are perfect for game day. I could eat a million of these bites. These would fly off the tray at our place. Thanks Kim. 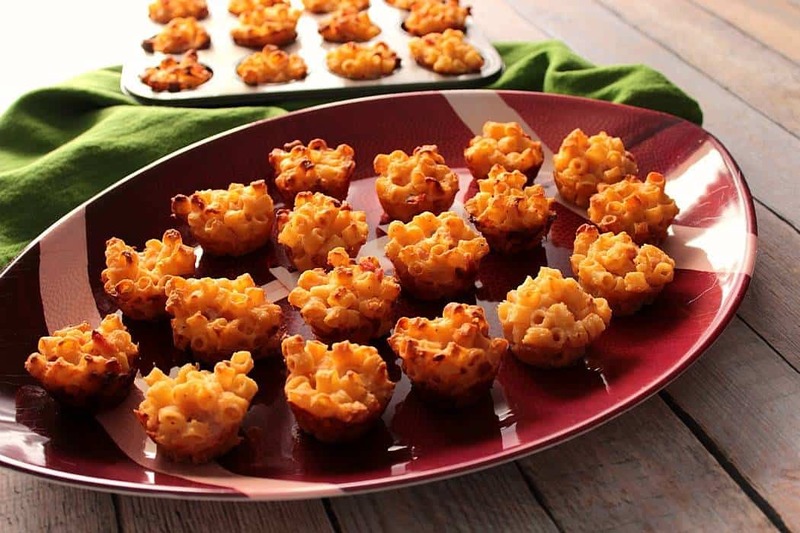 These macaroni and cheese bites didn’t last here long either. What a great finger food! I can’t wait to try these. Thank you so much. They’re an appetizer that everyone gravitates to. If I showed up to a party and saw these on the appetizer table I would promptly move over to the plate and not leave until I ate them all. I know I should share but these look too good to share! HaHa! You’d have to fight me for them!